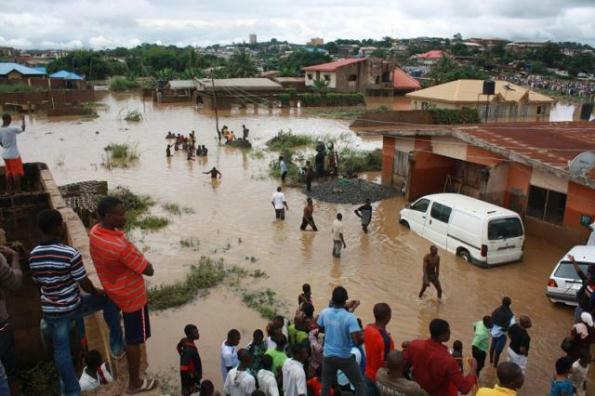 About 745 victims of flood, windstorm and ocean surge in Ondo State have received succour and relief materials from the National Emergency Management Agency (NEMA). NEMA, in collaboration with the state government, gave out fishing nets, water pumping machines, building materials, sewing machines, grinding machines, foodstuffs, soap and beverages, among others, as palliative to 745 flood, windstorm and ocean surge victims in over seven councils of the state, especially in the coastal communities. While distributing the materials to the beneficiaries in Akure, Director General of NEMA, Mustapha Maihaja, commiserated with the state government over the natural disaster that hit the state last year. Maihaja, who was represented by Head of Operations in charge of Ondo, Osun and Ekiti states, Olusegun Afolayan, said incidents of disasters in the country were not only devastating, but also clog in the wheel of progress and economic development of communities. “I want to assure you of NEMA’s willingness to sustain the collaboration with Ondo State Government to explore long-term and more sustainable solutions to both natural and human-induced disasters.“I also commend the commitment of the State Emergency Management Agency,” he said. Deputy Governor of the state, Agboola Ajayi, lauded President Muhammadu Buhari for the showed concern towards the plight of the people and NEMA for always being available to help bring relief to those affected by one disaster or the other.